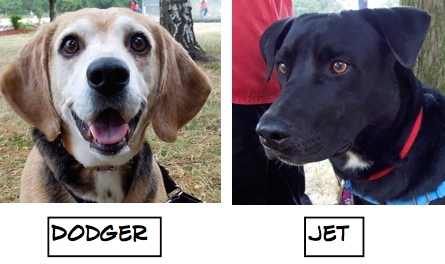 Staff sent along two going-home pictures. 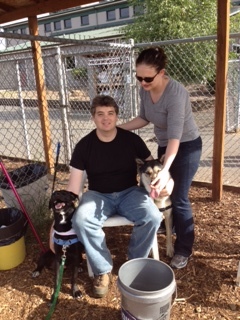 First, here was Jet with his new family. And this is Prince. 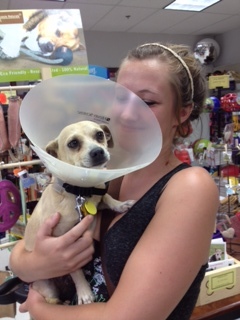 Poor guy had to go home in a cone, but better to be home with a cone than in a shelter! 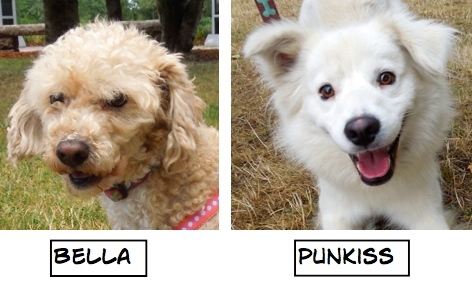 Having not gone to WHS for a week, there were a lot of new dogs for me to meet on Sunday afternoon. I had some wonderful help from volunteers so that I could concentrate on getting pictures for the WHS website. I may be older, but I’m a keeper! 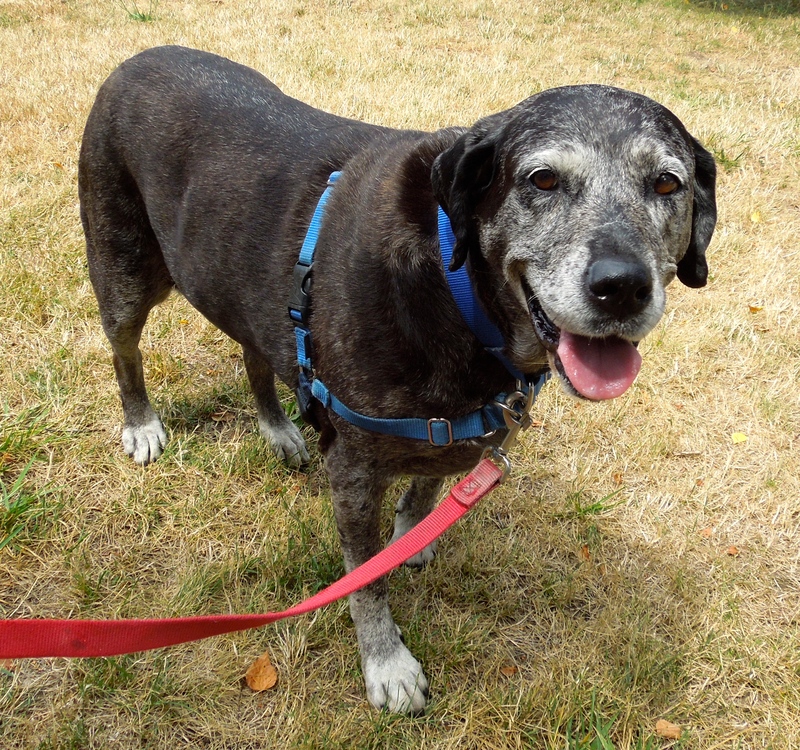 The first new dog I met was Allie, a ten-year-old Catahoula Leopard Dog/Lab mix. It didn’t take me long to know this sweet girl is very special. 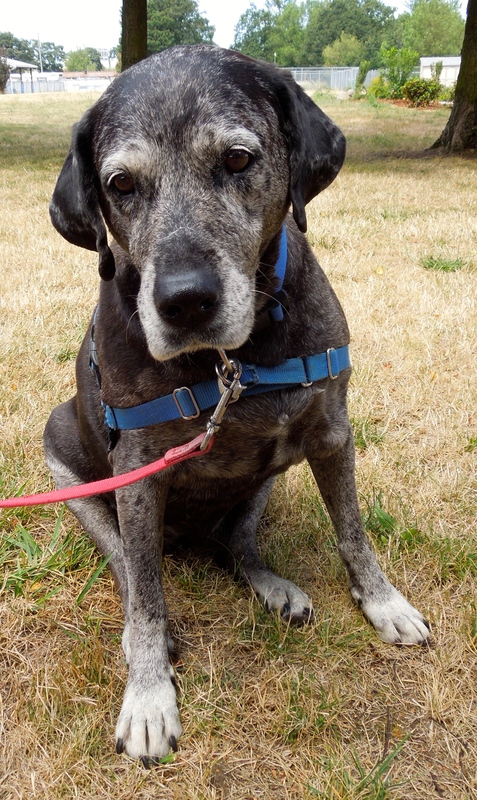 She walks a little more slowly than some, takes treats more gently than most, and is looking for a retirement home where she can spend the rest of her life surrounded by love. 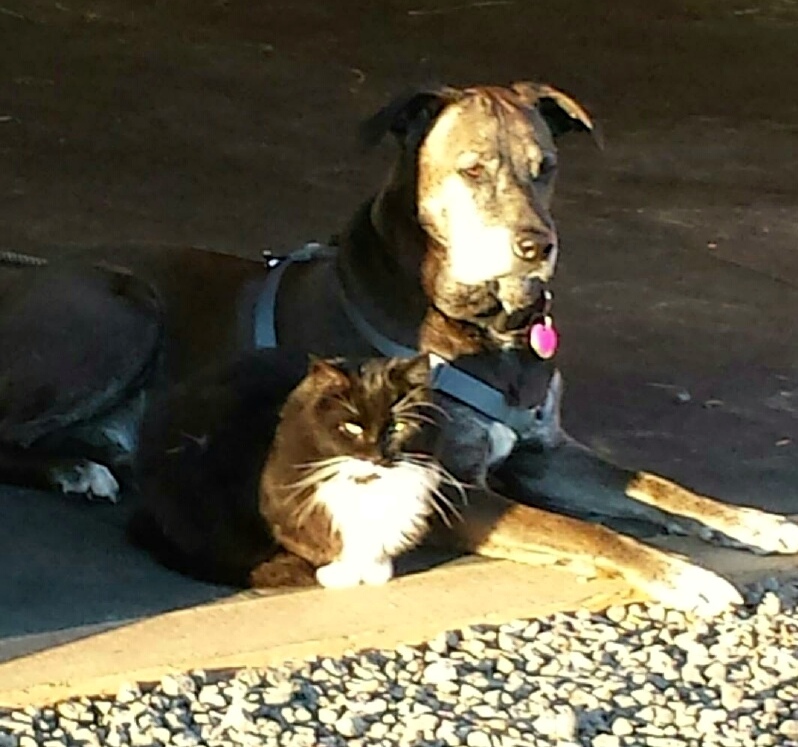 Allie gets along with calm dogs and cats. 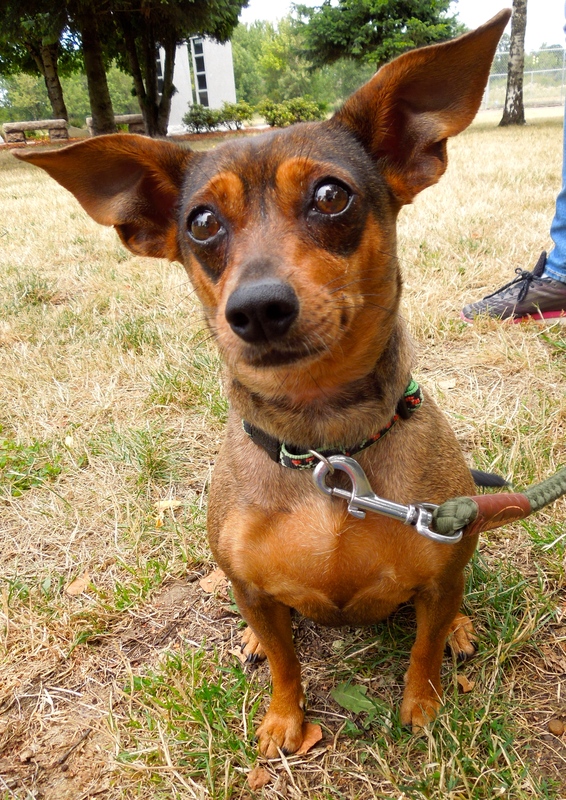 She is house-trained and will be happy with casual strolls around the neighborhood. I’m so hoping she won’t have to be in the shelter environment long before her forever family finds her. Here she is with Bruce. This is the picture that grabbed my heart. I wonder what she is thinking. And here she was today. Joan, like me, fell in love with this girl and together, they sat under a tree for awhile. Exactly what Allie loves to do. I just got here. 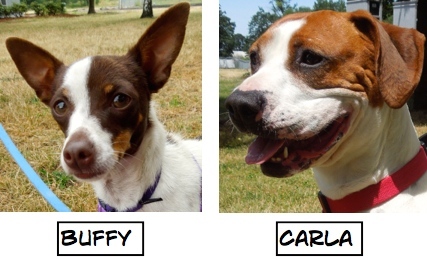 Hoping for a new family soon! A brand-new arrival while I was there Sunday was this big girl, Kushie, a three-year-old Pit Bull Terrier mix who is looking for an active family to have adventures with. 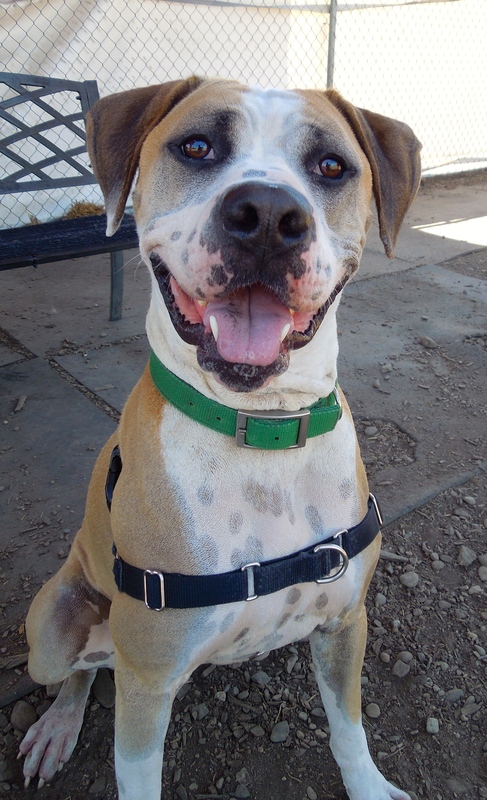 Kushie is a beautiful, energetic gal who will need lots of daily exercise and then some serious cuddle time afterward. As you can see, she is a very affectionate girl. 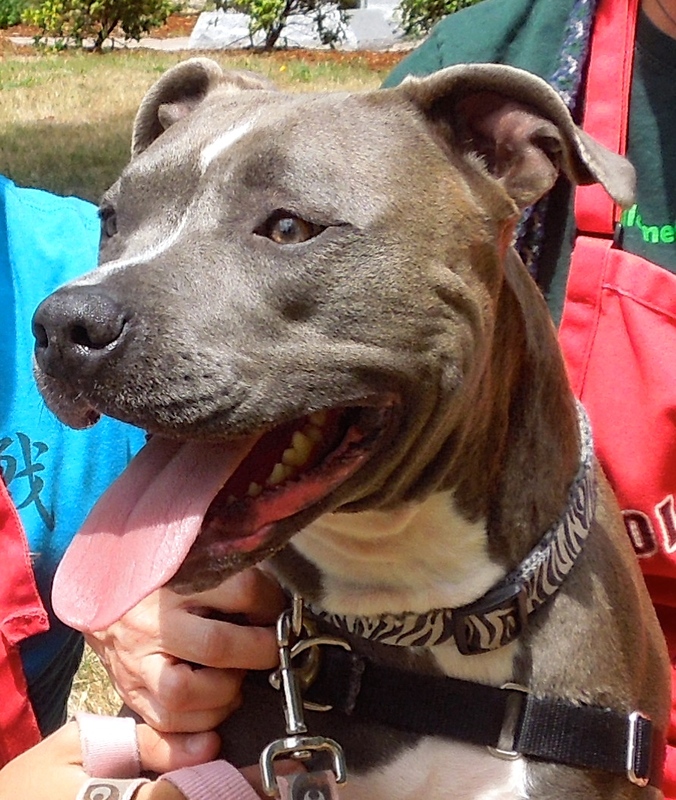 She is house-trained and good with kids, though with her size and energy level, she’ll do best with older children. Andrew and Diane enjoyed meeting and spending time with this sweetie. I’m adorable. Yep, I really am. 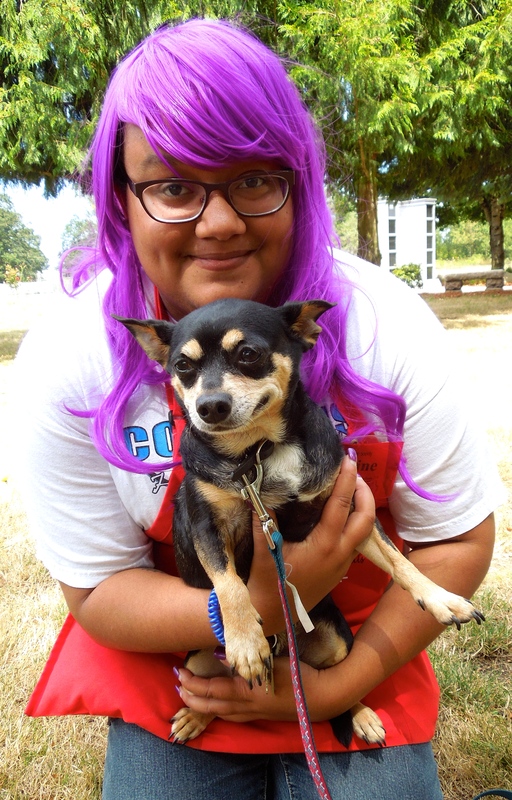 Caroline introduced me to Riley, an eight-year-old Chihuahua mix. This little guy is a character. He loved my hot dog bits and knows some basic commands. But the thing that surprised me the most was his smile. He looked right into my camera and grinned! At 15 pounds, Riley is a tad overweight…he doesn’t like to admit it, but it’s true. Going for walks would be great for his waistline. 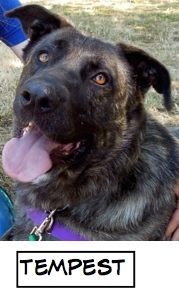 Riley is looking for a patient family who will help him with his house-training, as he needs some brush-up work. He’ll make a great little companion, and what fun to wake up each morning to that smile! Yep, I’m still here. How about coming on over and adopting me? 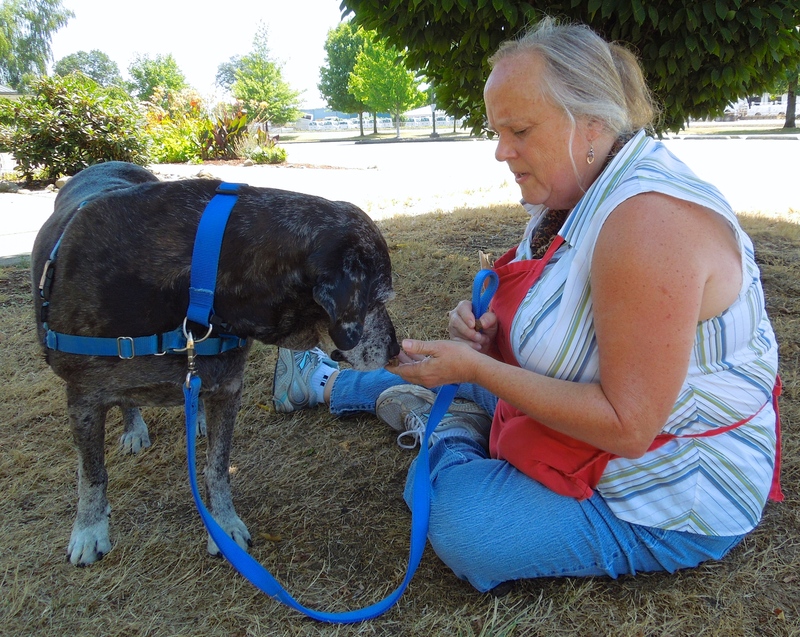 While I was taking pictures of new dogs, I saw Alexis walking Max, who has been at the shelter for awhile. 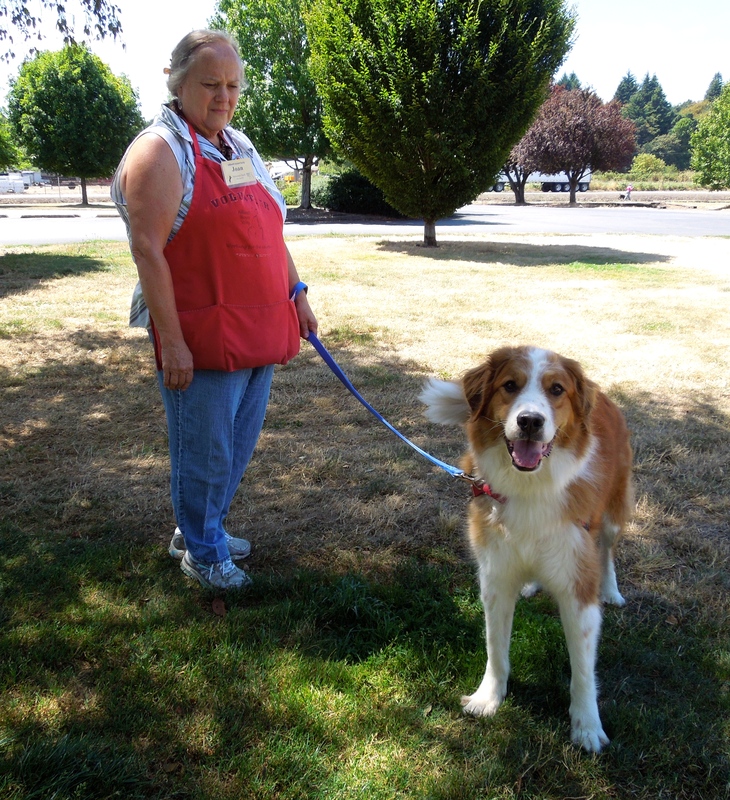 Max is a Great Pyrenees/Bernese Mountain Dog and is four years old. 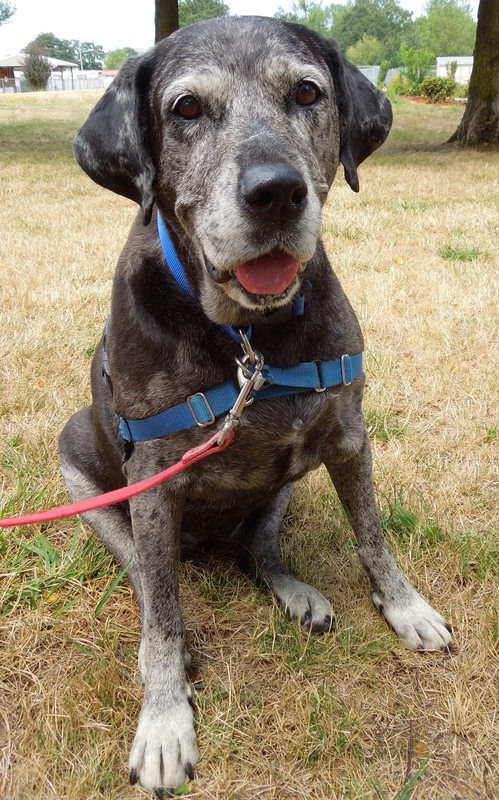 Max is a gentle dog who prefers quiet walks and moderate activity to rough-housing. 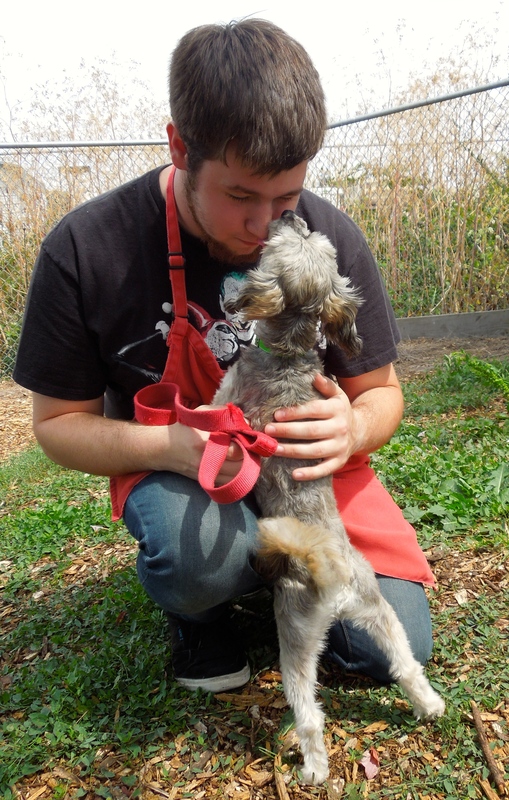 He is house-trained and seems to be good with everyone, both canine and human (he has no experience with cats, however). He is crate-trained and sleeps in one all night. He does get nervous around ceiling fans (go figure!). 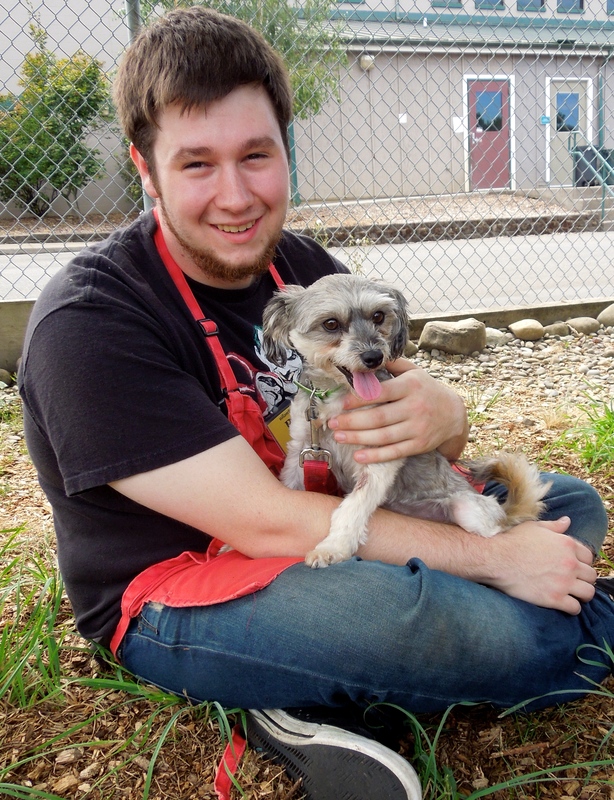 If you don’t mind grooming (he will need to be brushed often) Max may be the perfect fit for your family. Max spent time with Joan today. You say you are a Jack Russell fan? Well, here I am waiting for you! I’m really surprised that Zeba is still at the shelter. 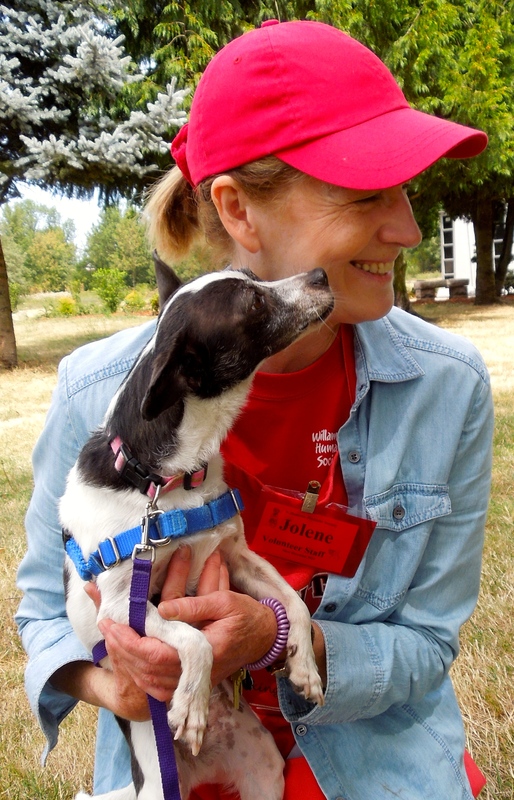 She is a six-year-old Jack Russell Terrier mix who needs to be the only pet in the house. That’s right, no other dogs and no cats. She is house-trained and has lots of energy (don’t ALL Jack Russells?) She loves to go for walks and snuggle afterward. 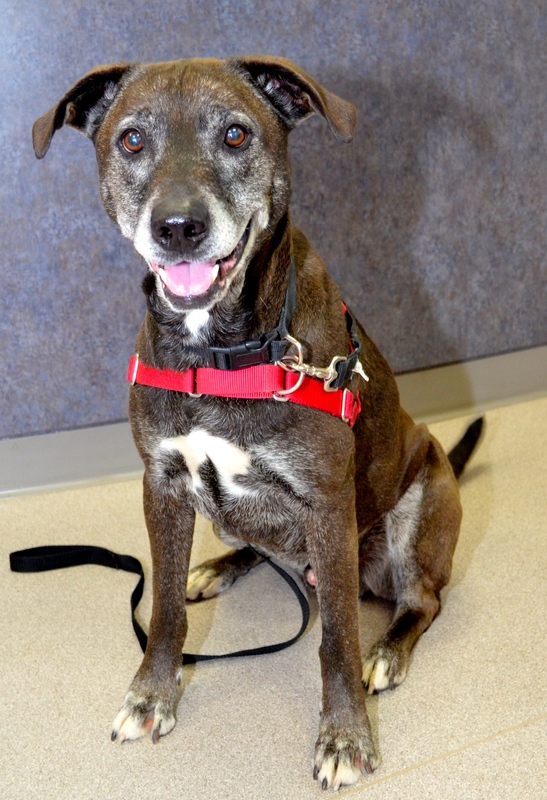 If you’re looking for a dog who would like to be your companion without the complication of other pets, Zeba may be the one for you! 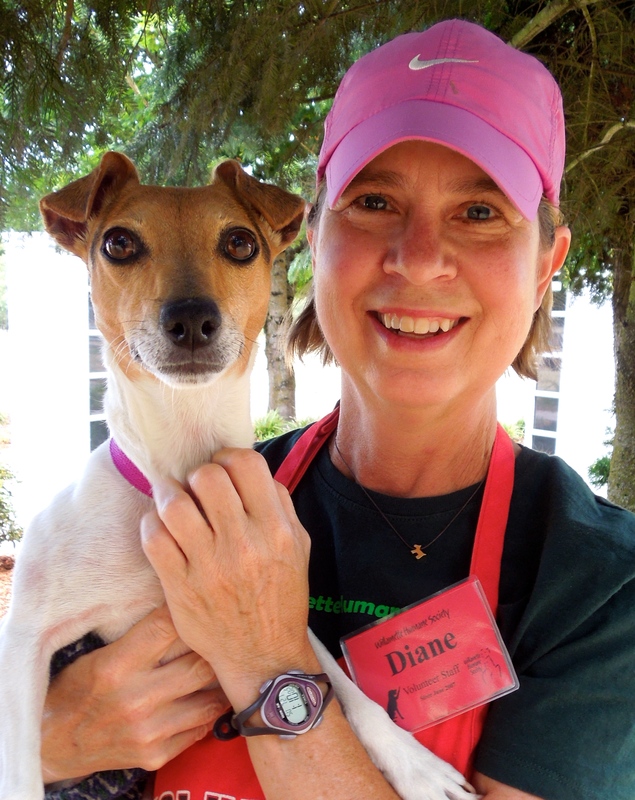 Here she was with Diane on Sunday. I’ve been here a long time. I’m waiting for just the right family. Maybe it’s yours? 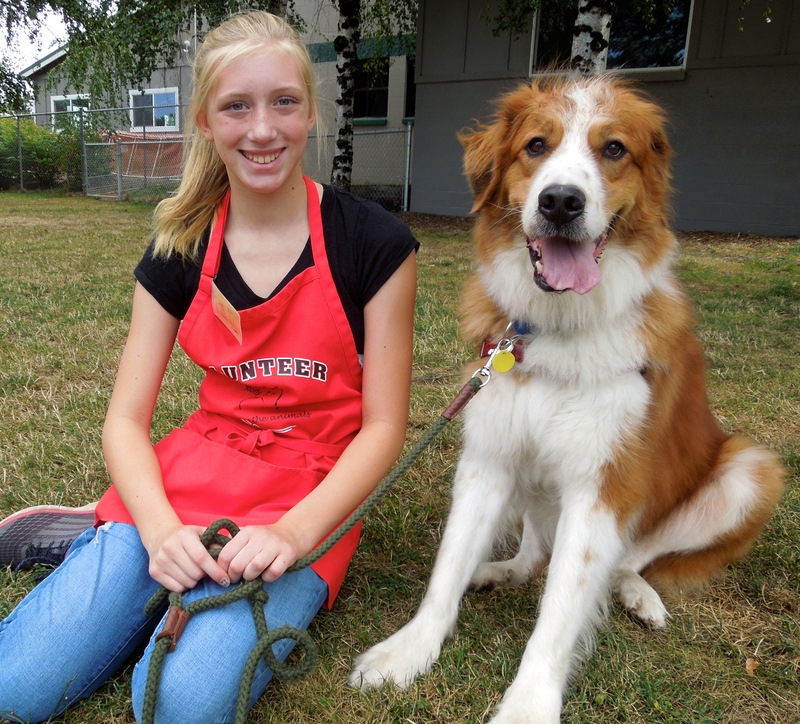 Chevy has come such a long way since he first arrived at WHS last March. 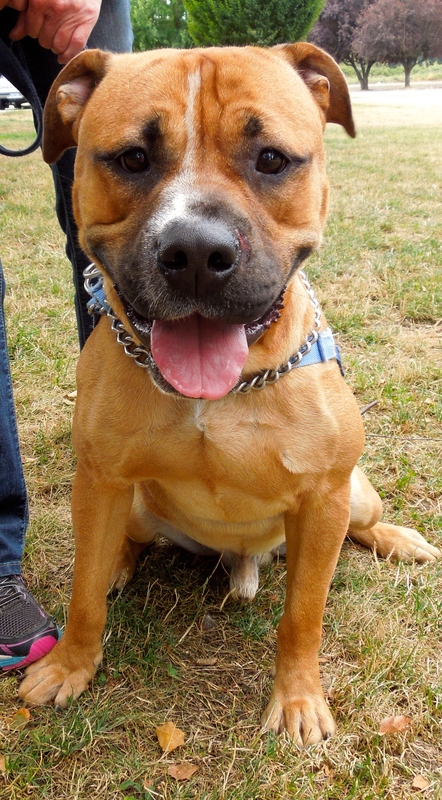 He is a three-year-old Pit Bull Terrier mix. 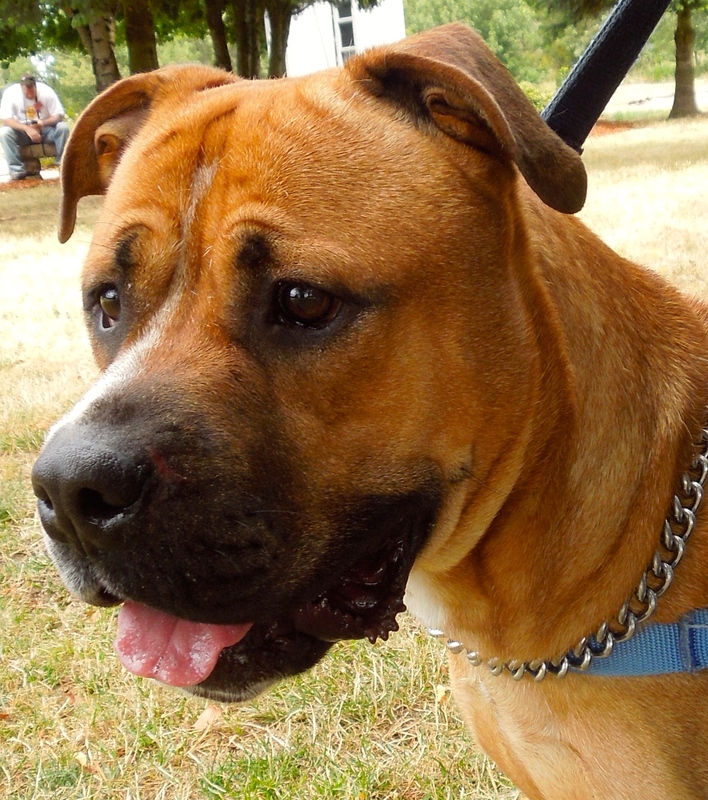 He was adopted twice, but returned because he was not the right fit for the families. 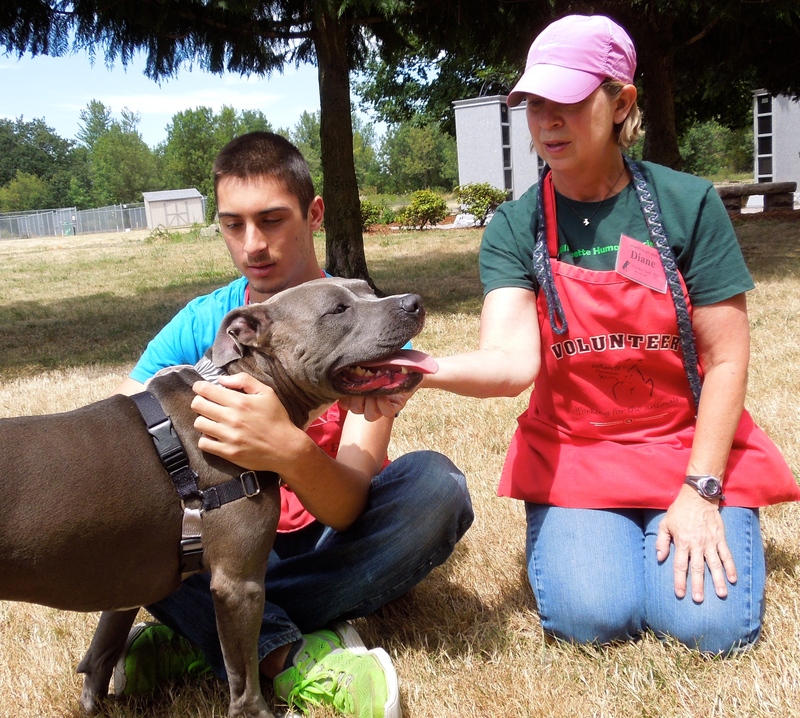 Because of spending his first three years on a chain, teased by children, until rescued by Fences for Fido, Chevy had some issues that needed work. That’s where volunteers came in. 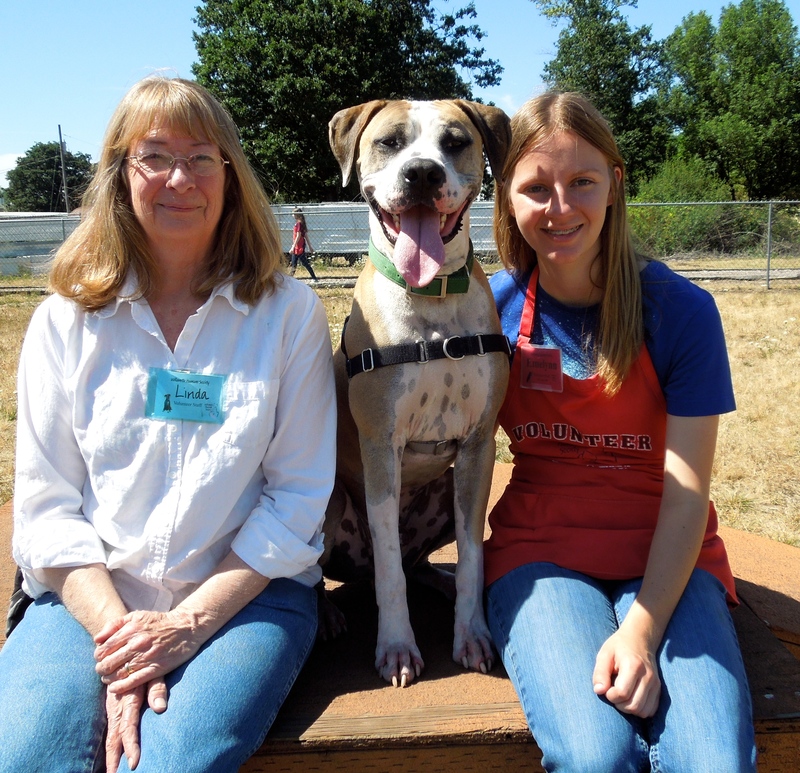 Chevy got a scholarship through Fences For Fido for a class at My Dog’s Gym and volunteer Linda took him each week where he enjoyed learning many new skills. In addition, he attended a WHS class called Check In and Chill Out with Linda and Jolene. 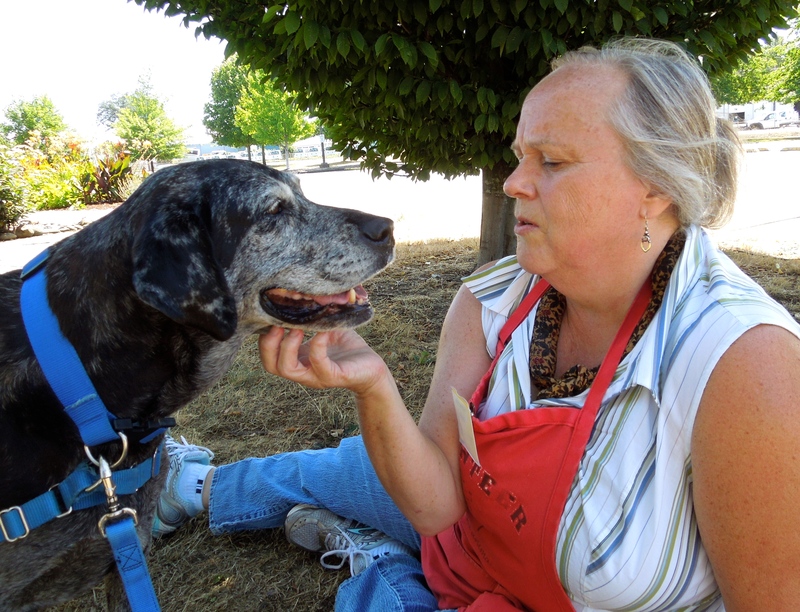 Along the way, Chevy has won many friends who have happily watched as he learned to relax and trust. 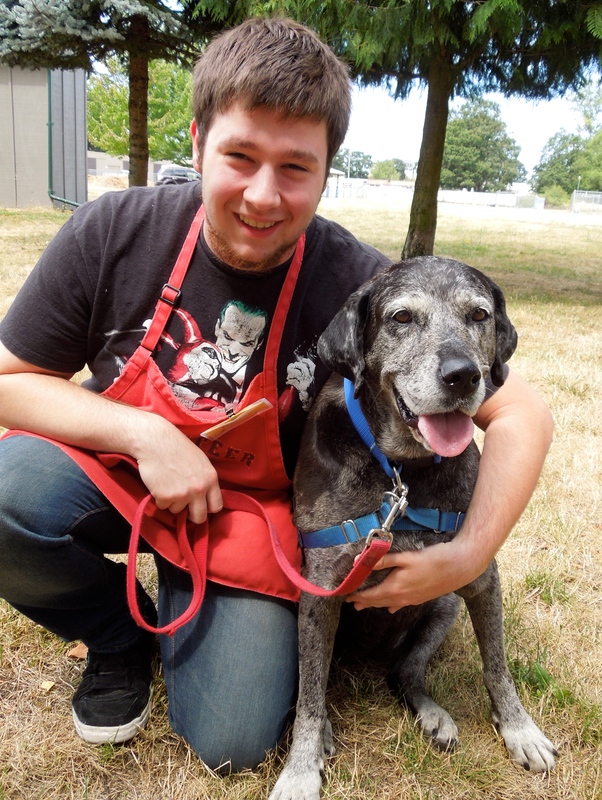 Chevy will need an adult-only home with an experienced owner who will help him continue the improvement he has been making at the shelter. 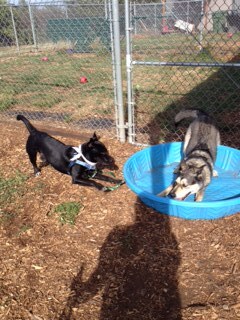 Today Jolene already had him in the big yard when I arrived at WHS. When I went over to see him, he was so excited to have more company and gave me a big grin. He pranced around happily. One funny thing we’ve noticed about Chevy is his fascination with shadows. He will stop mid-walk to stare at his own shadow on the ground. Later in the afternoon, after all the dogs had been walked, Linda, Emelynn, and I took Chevy out again. Linda and I had decided to make a video about this special boy which I’ll be working on tomorrow. Here the three of them were after the filming. As you can see, Chevy is pretty happy about being a star of his own movie. Let’s hope it doesn’t go to his already big head! I’m new here and I have a great sense of humor! Need to laugh? 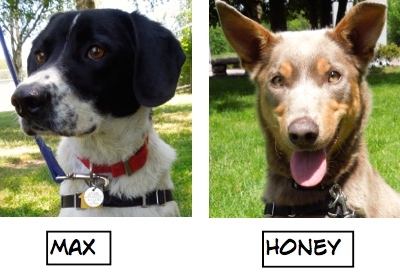 Adopt me! I didn’t have to think twice about who would be Emelynn’s favorite this week. She has been walking Ariel first and last every shift for several weeks. 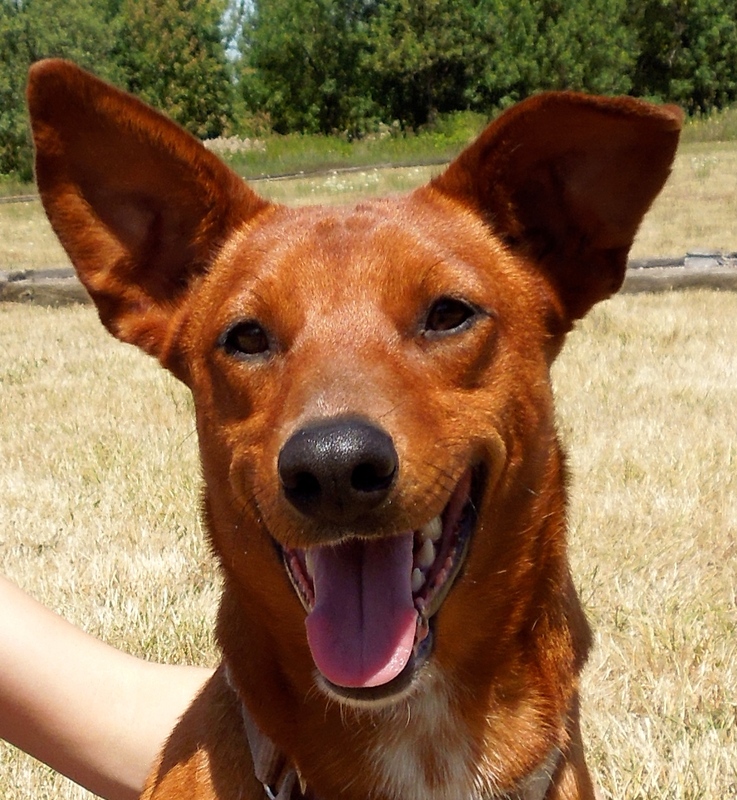 When I asked why she loves Ariel so much, Emelynn smiled, “She’s so happy, fun and playful all the time, but also very cuddly.” Ariel is a one-year-old Australian Cattle Dog/Red Heeler mix. 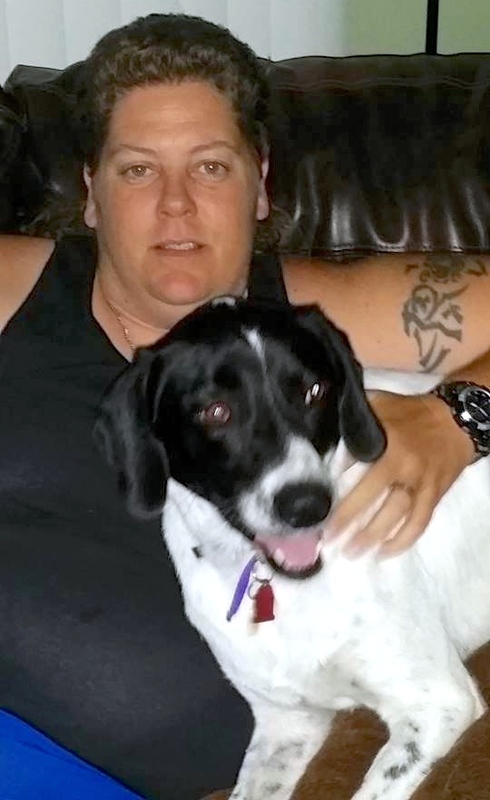 She has a ton of energy, so will need an active family willing to give her jobs to do. Her hobbies are playing in water, jumping, and racing around a yard. She’d be excited to go to agility classes and no doubt would be a star. 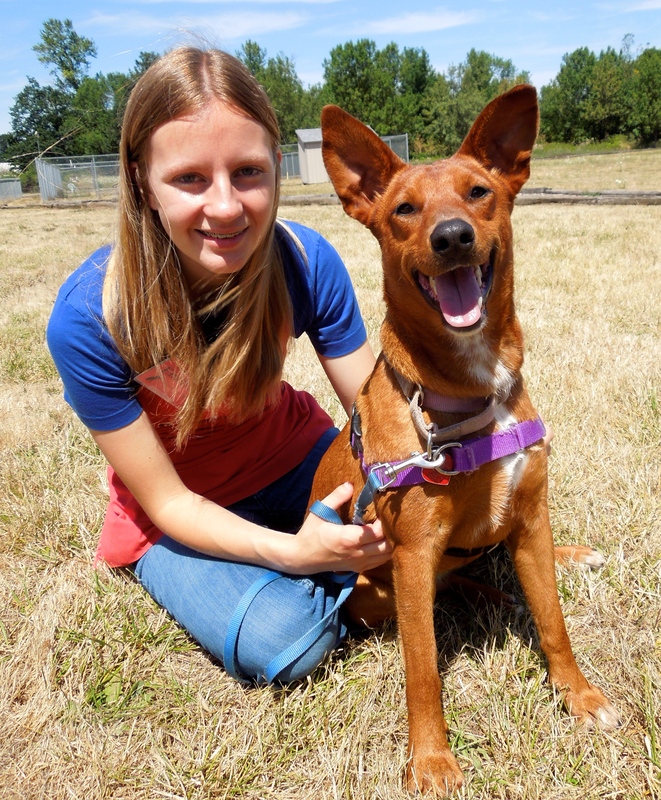 She loves romping with other dogs, and more socialization with other dogs would help her learn to be a bit more appropriate with them. 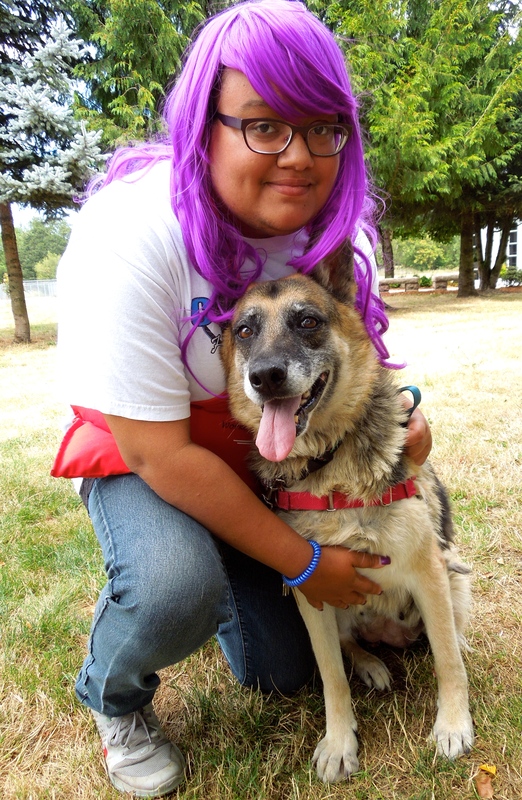 Ariel will need the right fit of a family who will appreciate and help her expend her energy in happy ways. Here Emelynn is with her this afternoon. I’ve got a little cold, so I’m in the ISO kennels, but I’m getting better and you can still adopt me! 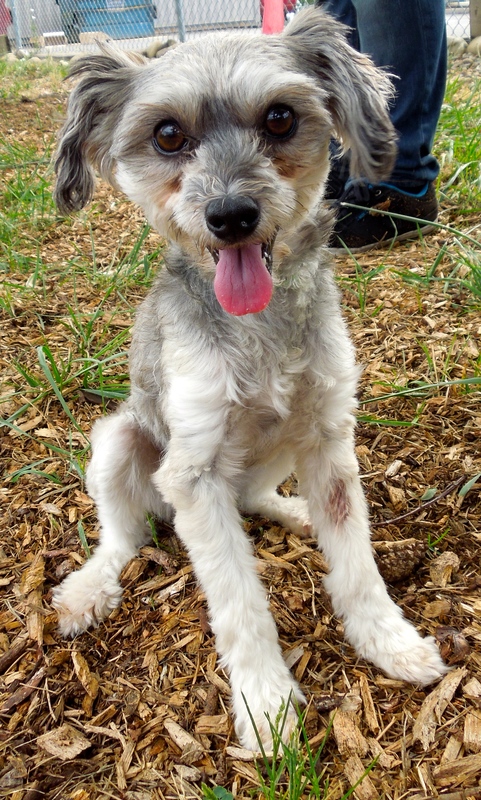 This little sweetheart is Ashley, a seven-pound, one-year-old Miniature Schnauzer mix. 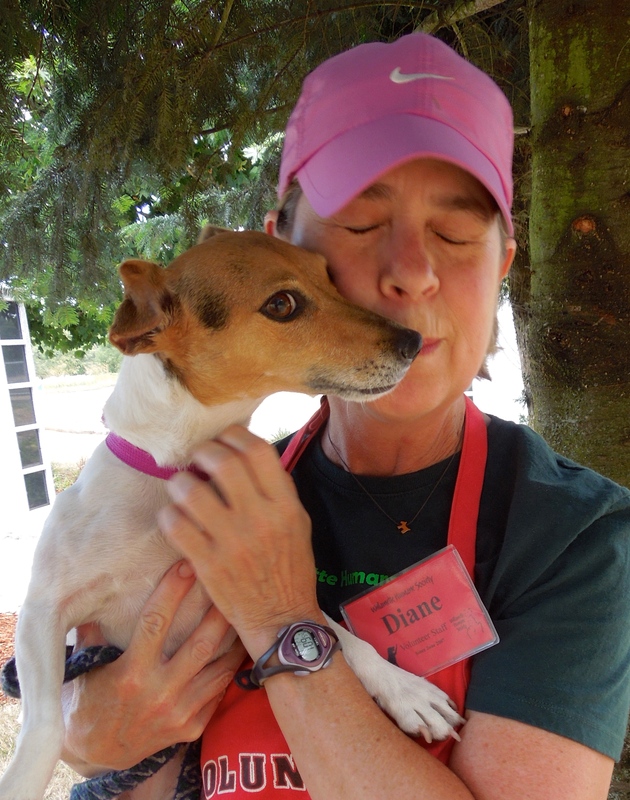 She’s another California gal who is looking for an Oregon home. 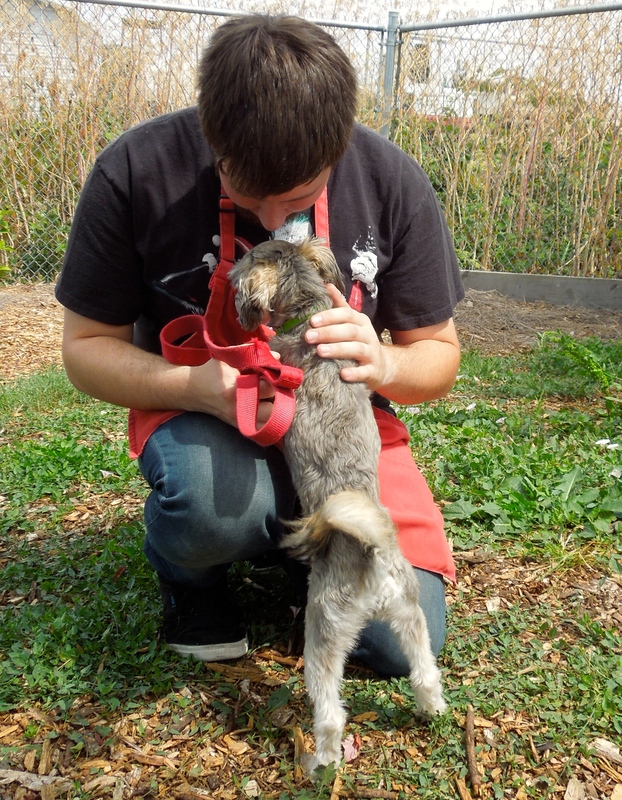 She is one of the most affectionate little dogs I’ve ever met, as you’ll see in these pictures with Bruce. She wanted to crawl into our laps and curl up. She will make some lucky family the perfect little friend. I may be little, but I’ll be a terrific friend! 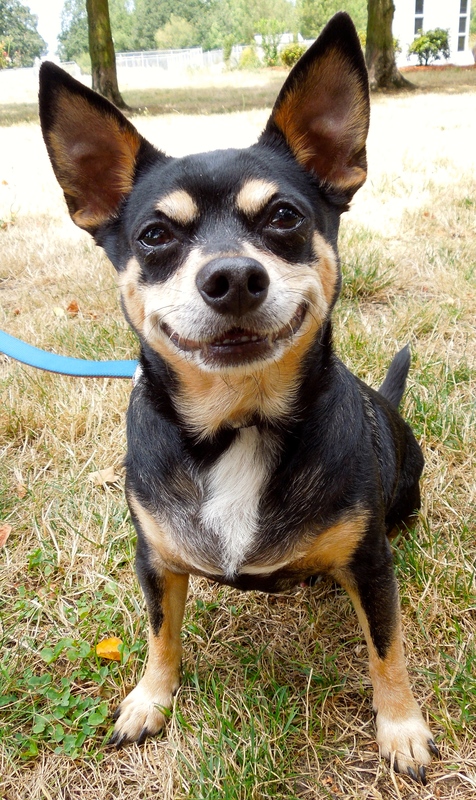 Dahlia is a five-year-old Chihuahua mix weighing in at a mere 13 pounds. 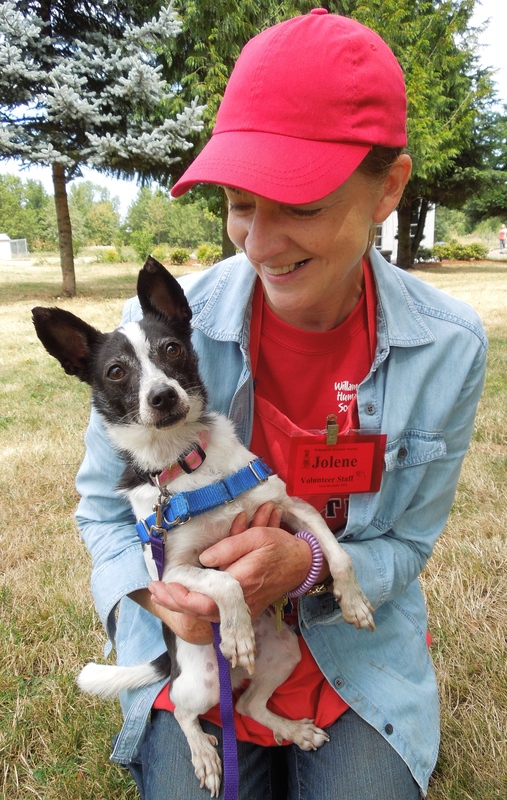 She is also new, but Jolene and I were struck at how friendly she was, even though shy at first meeting. 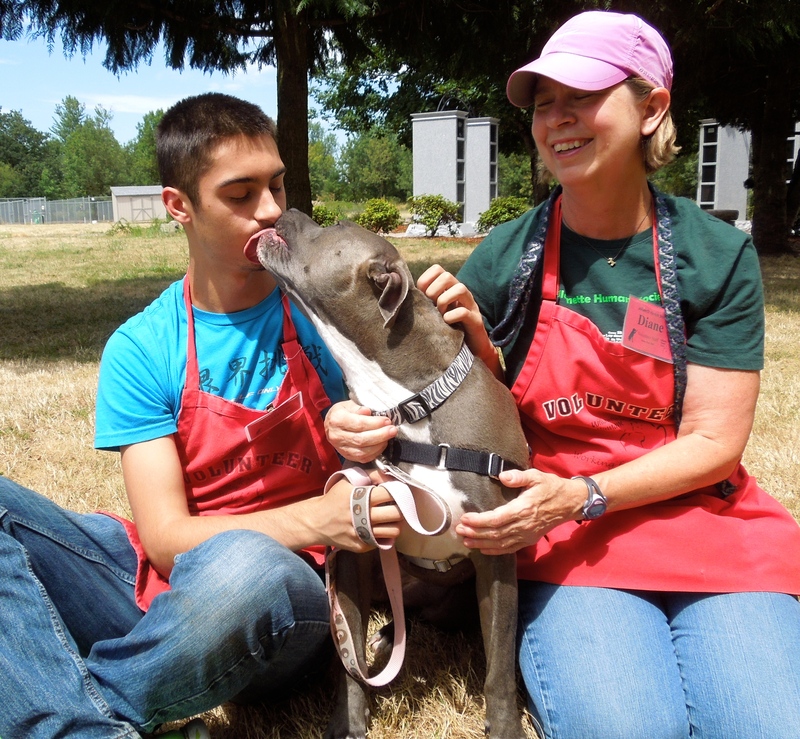 She is house-trained and did very well on her behavior testing. 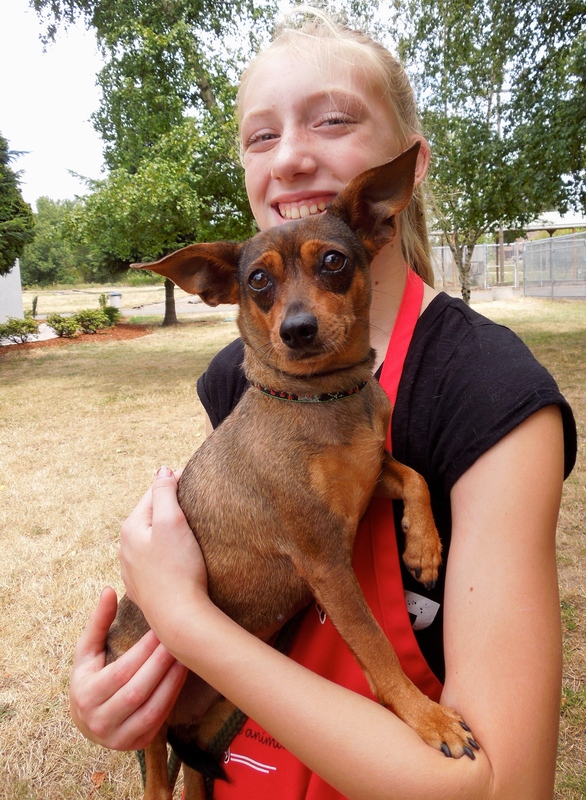 She seems to get along with other small dogs and should be good with children. I bet she will be adopted quickly! Need a ball dog in your life to play fetch with? Well, look no more! 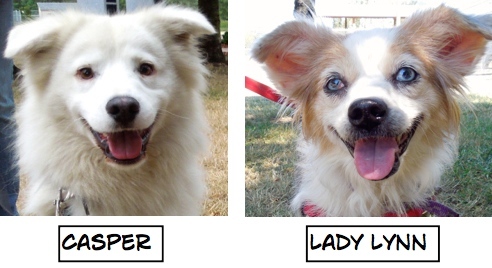 Adopt ME! 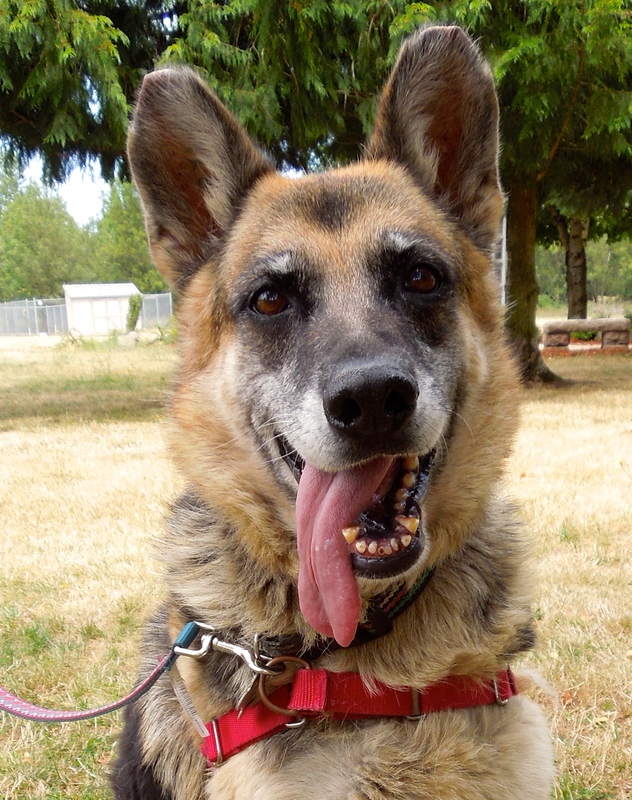 Pearla is a seven-year-old German Shepherd mix who according to people who knew her in California, will make a terrific family dog. She is gentle and loves to play fetch. She is good with other dogs and with kids. As you can see here, she quickly bonded with Caroline. 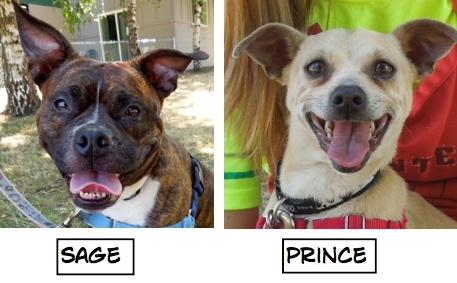 We’re hoping that there is a family out there who will soon get a new best buddy. I know I look worried, and I am. I really need a new home with people I can love. Felicity was brought to WHS as a stray, so we don’t know much about her. But she certainly looks worried. She seems to be shy but loves attention and being with people. She is house-trained. 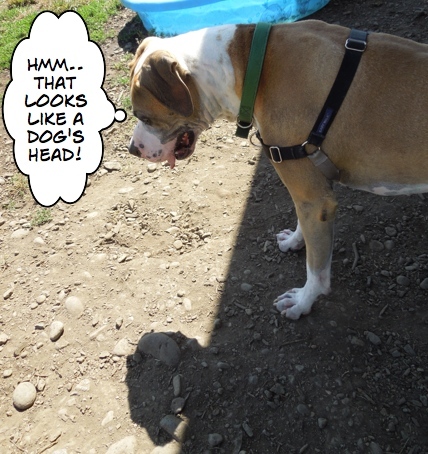 She also looks a little like the Flying Nun! She was too nervous to take my treats on Sunday, but did want to cuddle. Here she is with Alexis. I hope she’ll get adopted very soon so she can stop worrying. 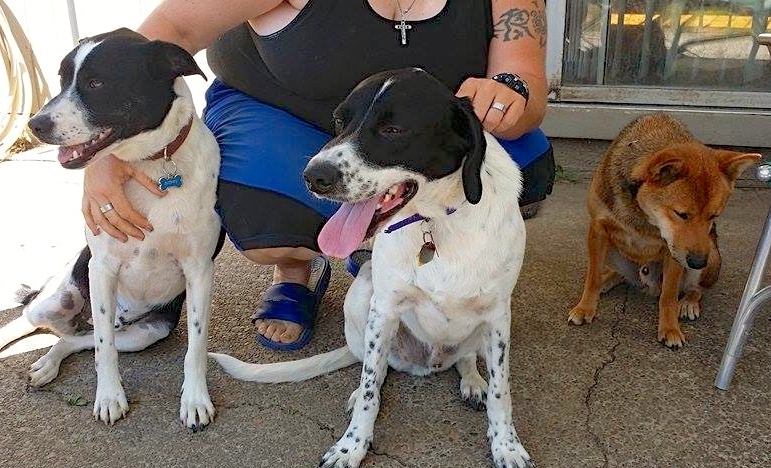 Here he is with his new mom and brothers Buddy and Bandit. Here he is at home with his cat. That smile you caught on Riley’s face should make someone seeing your blog rush out to snap him up. So cute! Thanks for posting info about Chevy. I can’t believe he hasn’t been adopted yet. He has turned out to be such a good boy and Linda has made such great progress with his training. He is going to make someone a fantastic companion. If I didn’t have four already, I’d adopted him.